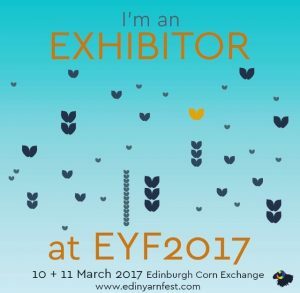 Home › Events › See you at EYF! It’s time! 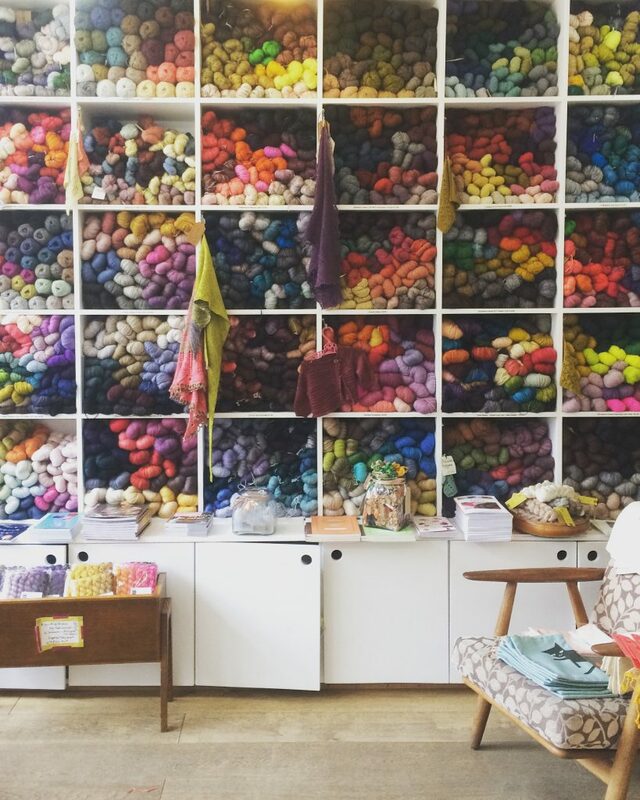 In addition to our normal opening hours in the London shop, this weekend we’re taking Loop on the road up to the Edinburgh Yarn Festival, and you’ll find us at stand H1. We hardly ever do shows as the shop keeps us pretty busy, but we just couldn’t resist this one; we are so honoured to be there. We have been packing the boxes for the last few weeks, and we are very excited to show you what we have. Expect the highest quality yarns and exclusive colours from some of the best people around. We will of course have many of our unique Loop items with us, and we are very excited to host the Spincycle gals at our stand between 2 and 3 both Friday and Saturday – something you won’t want to miss! Today we also launch our new pattern ‘Spruce’ designed by Ella Austin of @bombellaella and knit in Semilla Grosso. The pattern is available in the London shop from today, and we will tell you all about it on the blog next week. For more updates from EYF through the weekend, follow us on Instagram at @looplondonloves. Our London shop will be open as normal, and of course our online shop is always open for business. We hope to see you in Edinburgh or London, and as always, online. I go into our local primary school once a week to teach knitting,which is great fun! Actually my great passion is patchwork. The children and I are just starting on a quilt to celebrate the schools’ 150 years anniversary , knitting one side and patchwork the other!! Hope you have another busy day tomorrow.